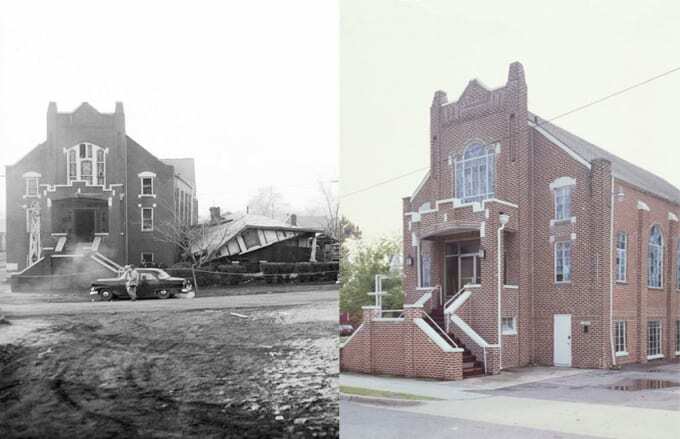 Location: 3233 29th Ave. North, Birmingham, Ala.
Like many black churches in Birmingham and Montgomery, Bethel Baptist Church played a pivotal role in the Civil Rights Movement. From 1956 to 1961, the church served as the headquarters for the Alabama Christian Movement for Human Rights (ACMHR). The ACMHR is noted for taking nonviolent action against the segregation of transportation, education, and employment. Pastor Fred Shuttlesworth was responsible for organizing groups brave enough to aid Freedom Riders injured during an attack by angry protesters. The church was also bombed on three separate occasions: Christmas 1956; June 29, 1958; and December 14, 1962. For its role in the Civil Rights Movement and resilience over the years, the church was honored as a National Historic Landmark in 2005.